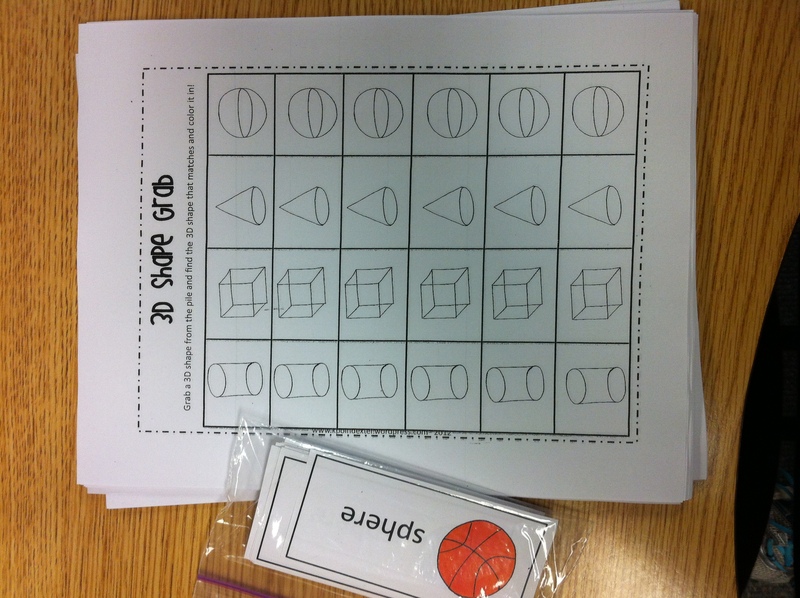 I made this game so my kiddos could practice identifying 3D shapes. 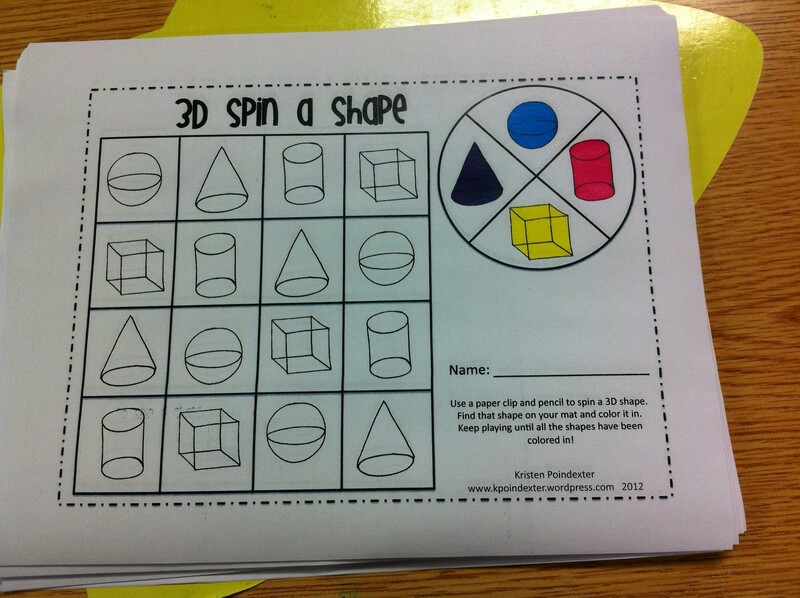 They have the choice of drawing the 3D shape or just making an “x” in the box. 3D Spin a Shape is available in my 3D Shapes Pack. The children place a paper clip on the circle and place their pencil tip in the paper clip and spin. They color in the corresponding shape on the sheet. 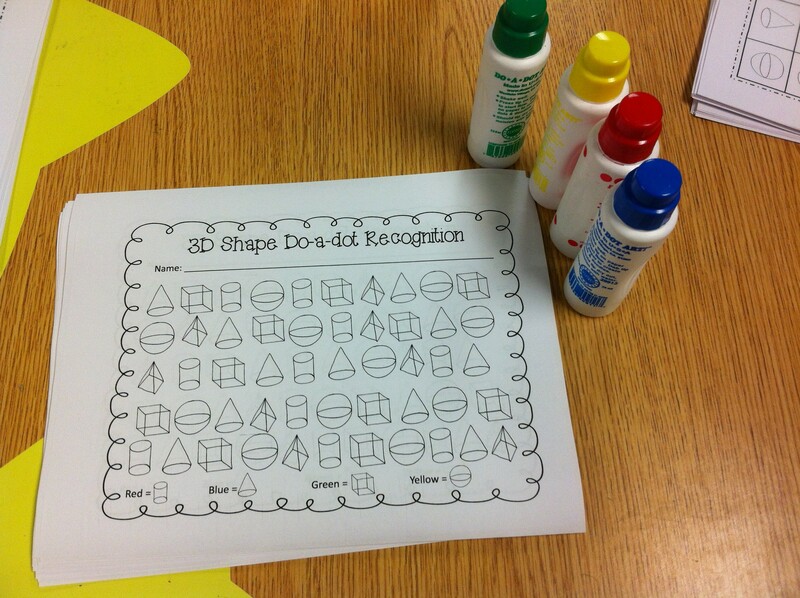 This is another game I made up quickly so that my kiddos could practice recognizing the 3D shapes. 3D Shape Grab is also available in my 3D Shapes Pack. The children place the cards upside down and pick a card from that pile. 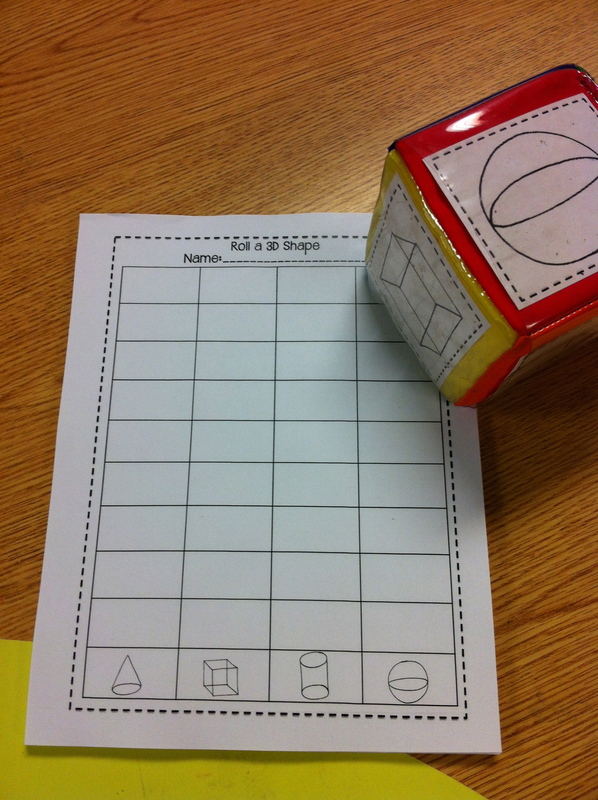 They say the name of the 3D shape and record it on their sheet. Some of my kiddos like to draw the object that is represented on their recording sheet, while others just like to color in the shape. I want the kiddos to recognize 3D shapes in their world, so there are lots of 3D shape and real world examples included in the stack of cards. Posted on November 1, 2013, in 3D Shapes. Bookmark the permalink. 3 Comments. These are great games. I have added your pack to my wish list! Thanks for sharing! Where did you purchase the dice (di)? I couldn’t find it online in the catalog you mentioned in previous kits. Thanks for your help, Kristen. You must never sleep :)….